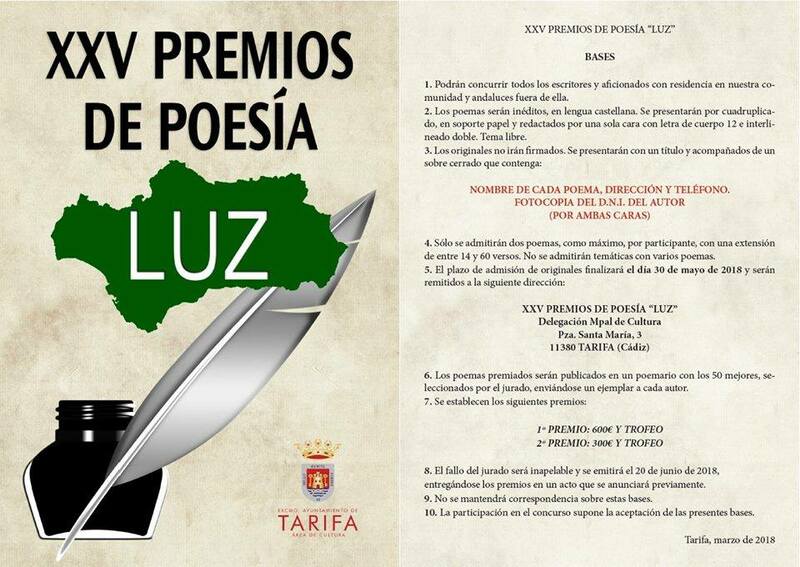 One of the literary creation contests with more tradition in the Campo de Gibraltar, born and part of Tarifa. It is an episode of “Poesía Luz” that in its twenty-fifth edition will reward 600 and 300 euros for the most original creations. The municipal area of ​​Culture has published the new bases of the poetry contest open until May 30. Andalusians living inside and outside the autonomous community can join this contest with a maximum of two unpublished works by author. They will be of free theme and may have between 14 and 60 verses. Those interested have a deadline of May 30 to send their work in quadruplicate, with title and without signature. The authorship data are incorporated in a closed enclosed indicating full name, titles of the poems and address. The reception time was open until May 30 and the jury’s decision was announced on June 22. 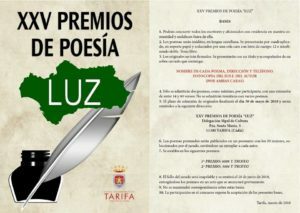 “Poesía Luz” is one of the longest-lived poetic awards in the Campo de Gibraltar region and the province of Cádiz. Endowed with two cash prizes of 600 and 300 euros is also a reference certificate among those who write poetry. The 50 best works were part of an edition, the poetry book Luz, witness of the long history of this accurate literary creation.